Whereas previously Russian arms exporters resorted to the costly tactic of information wars because petrodollars were abundant, now this tactic sounds like the last argument in competition increasingly more often. The interests of the defence industries of Ukraine and Russia clashed with new ardour after Ukrainian arms companies had dispatched the first batch of BTR-4 armoured personnel carriers (APCs). Their interests no longer match each other either by their character or political goals. 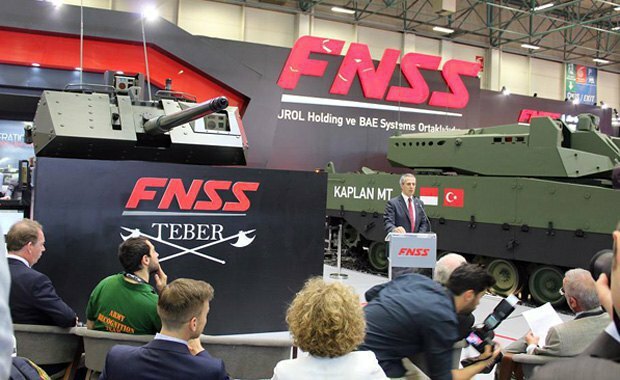 Judging by the fierce competition in this sector, APC manufacturing is set to become the most dynamic segment for the carve-up of the Soviet legacy on global arms markets. 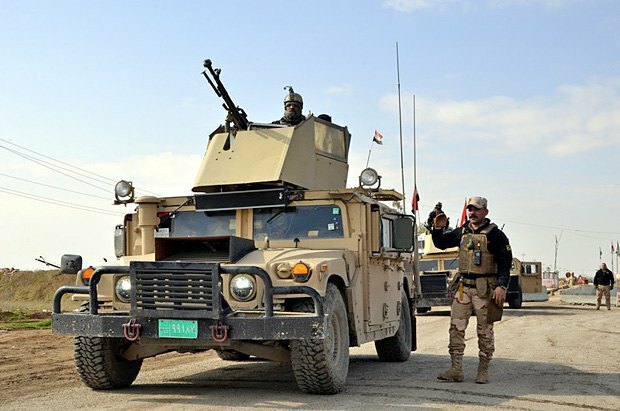 Ukrainian arms exporters obtained access to the Iraqi market back in 2009 because local arms supplies were paid for by the USA. Ukrainian companies used this as a springboard to successful penetration into the markets of two other leading countries of the region - Turkey and Saudi Arabia. Because of the Russian military-terrorist escalation on Ukrainian border, Kyiv’s expansion to the arms markets of these countries has been creeping. Still, it would seem impossible at all just several years ago. As with the quite virulent defence sectors of Ukraine and China, the interests of Ukrainian companies in Turkey and the Arab world are focused on localising the manufacturing as deep as possible in order to make sure that these markets can be used for direct exports in the future. Ukraine’s localization strategy does not apply yet to Iraq’s industry destroyed as a result of many years of hostilities. There will be direct supplies only for some time. However thanks to localising a part of Ukrainian developments and production facilities in other countries, for example in Pakistan and Egypt, these countries have become reliable and stable customers for Ukrainian military hardware and technologies. Russian exporters’ interest is essentially different as their joint industrial projects in the huge Muslim region number by single digits. When it comes to financial and especially political dividends, the current generation of Russian exporting companies is seeking to squeeze the Muslim markets dry. They may be seeking to sponge off the markets because the philosophy “as if there is no tomorrow” is in fashion in Moscow now. Out of the total annual revenues of around 14.5bn dollars on the global arms market, North Africa, Central Asia and the Middle East traditionally accounted for at least 35-37 per cent, or around 5.5bn dollars. In 2003-2011, Russian exporters lost two biggest customers, Libya and Hussein’s Iraq. As a result, the Russian export portfolio shrank by 6.5bn dollars. Since 2014, the USA has pointedly stopped sending arms supplies to Egypt and now Russian exporters are planning to leap at this opportunity to restore their standing on the Egyptian market, which they lost back in the 1990s. However, since Libya, also a former big importer of arms, is still in the civil conflict and is not yet ready for big purchases, one can only imagine how many efforts Russia is taking to try and bring back its former main regional customer, the Republic of Iraq, as a leading importer. Ukraine’s portfolio in this country was in direct competition with Russian supplies and was formed by the US treasury in the format of long-term orders worth 2.4bn dollars. Divided into sectors, the export portfolio was formed by supplies of various kinds - from lorries to planes. But the key role belonged to the BTR-4E APC supplies worth 0.5bn dollars. Such commodity popular among investors as wheeled armoured vehicles seems to be a very good tool for squeezing Russia out of the arms market of the former USSR. And for successfully replacing Russian exporters of APCs with Ukrainian ones. Unlike Ukraine, which has a finished and sophisticated lineup, the main items of Russian exports in this commodity niche include either long-outdated BTR-90 Rostok and BTR-82/82A or unfinished models which are only considered promising, Kurganets-25 amd Bumerang. Taking into account the last batch to be dispatched, the Iraqi army should have had 128 Ukrainian-made BTR-4, 164 more were ordered internally for the Ukrainian army and 50 for the National Guard: this order used a part of the erstwhile supply to Iraq in the year of 2014 which was highly politically unstable for Ukraine. 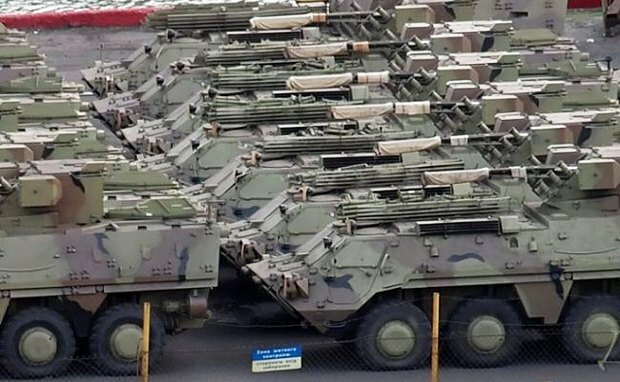 At the beginning of this year, a pilot batch of several BTR-4M was handed over to the Indonesian Marine Corps under the 2014 agreement. The deadline for the contract was earlier postponed, including because of the Russian military aggression against Ukraine. 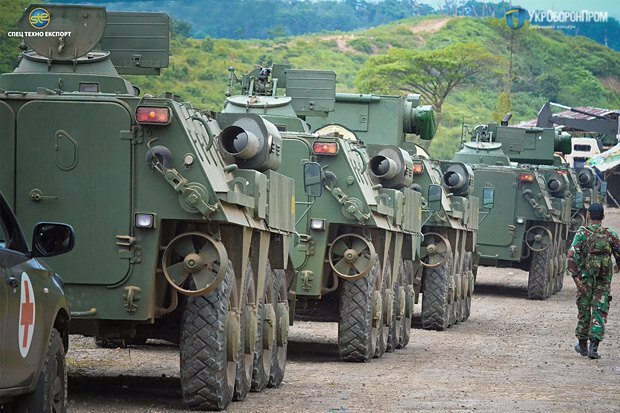 Unlike Russian-made APCs, Ukrainian vehicles successfully completed standardization in Thailand, after which negotiations on the conditions of their purchase for this country’s Royal Army began. The cost of a BTR-4 manufactured at the Kharkiv-based Morozov Machine Building Design Bureau and Malyshev Plant is 1m dollars. Together with cheaper BTR-3 made by the Morozov Machine Building Design Bureau and the Kyiv Armour Plant, APCs are among the favourites of Ukrainian exports in terms of quantity. Unlike more expensive tanks and infantry fighting vehicles, wheeled armoured vehicles have taken a firm lead in Ukraine’s export expansion to the markets traditionally believed to be the distribution areas for arms from the former Soviet Union. Russian manufacturers in this market segment are inferior to Ukrainian ones. In particular, they refuse to adapt their models to foreign-made engines, thus depriving customers of at least a hope to localise purchased equipment on their own territory after post-sale service. Because of the reasons mentioned above, the Ukrainian supply of APCs to the Iraqi army plays an important competitive role for Russia and pushes its authorities to spend incomparable personnel and financial resources on openly undercover operations or information wars aimed at stemming the growth of Ukrainian APC exports. 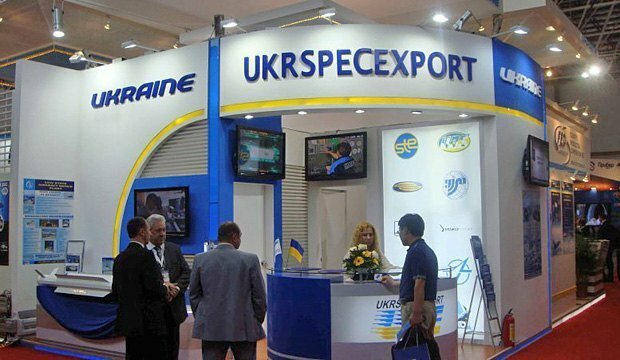 It will suffice to mention, for example, a unilateral decision by one of the Moscow proteges, Dmytro Salamatin, to shut down the Progress firm, a subsidiary of the Ukrspetseksport arms export company, which was responsible for the contract with Iraq! After all, its liquidation did not cause a breach of Ukraine’s contract with Iraq. But at the end, this put an end to the activities of the once promising for Moscow official. Planting such cadres in Kyiv requires significant financial efforts from Moscow. An information war to discredit Ukrainian companies in the eyes of foreign contractors is not a charity show. And not a hobby of a club of amateurs whom “women will anyway deliver in scores”. Personnel resources are limited as is money. Despite these limitations, a number of campaigns of this information war have been observed to include: non-existent statements by a customer country’s MPs, allegations about radioactive steel and cracks in APC armour plates, and a ship allegedly drifting in the Persian Gulf because a customer refused to accept another batch of vehicles. Russia practised similar information “leaks” with regard to Ukraine’s contracts with Thailand and Indonesia. Add to them open information wars, not often used as tools of competition on the global market. Mechanisms usually consuming a lot of time and money are exposed in their course. But, apparently, the redistribution on the market of Soviet and post-Soviet arms is approaching the moment when no-one cares about money. Having legalised their most precious executive links in Kyiv and outside it in the course of competition with Ukrainian armoured vehicle manufacturers in 2010-2012, Russian exporters ended up with miserable results. Well, they may still hope that another group of politicians will emerge in Kyiv, just like in the previous years, who will enthusiastically give Ukraine’s foreign markets as presents to Russian competitors. Well, it may take a while. In the meantime, despite numerous forecasts, the implementation of contracts on Ukrainian APC supplies to Asia continues. First, this guarantees Ukraine foreign currency receipts to continuously expand the distribution system and continue coming up with new technological solutions. Second, the Iraqi episode of competition between Ukraine and Russia showed that even the Syrian military intervention did not close off the market to new arms suppliers. They keep coming to this difficult region. And their expansion will only increase.